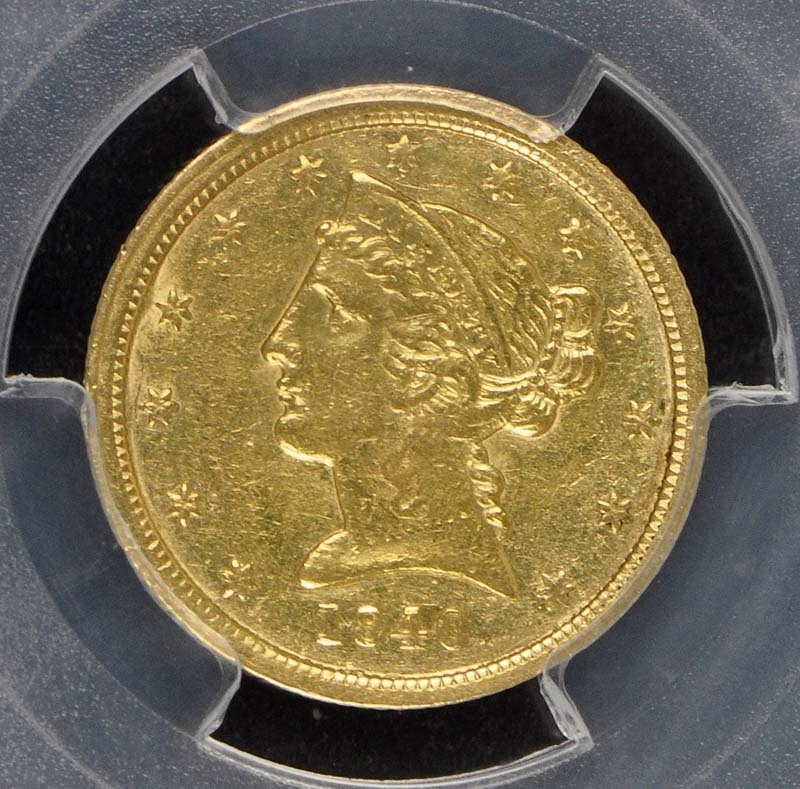 Most 1840-C half eagles circulated extensively and many show numerous planchet irregularities. This date has a lower survival rate than most of the other issues from the 1839 to 1841 period. About Uncirculated are rare and just a few have been graded at the Mint State level. 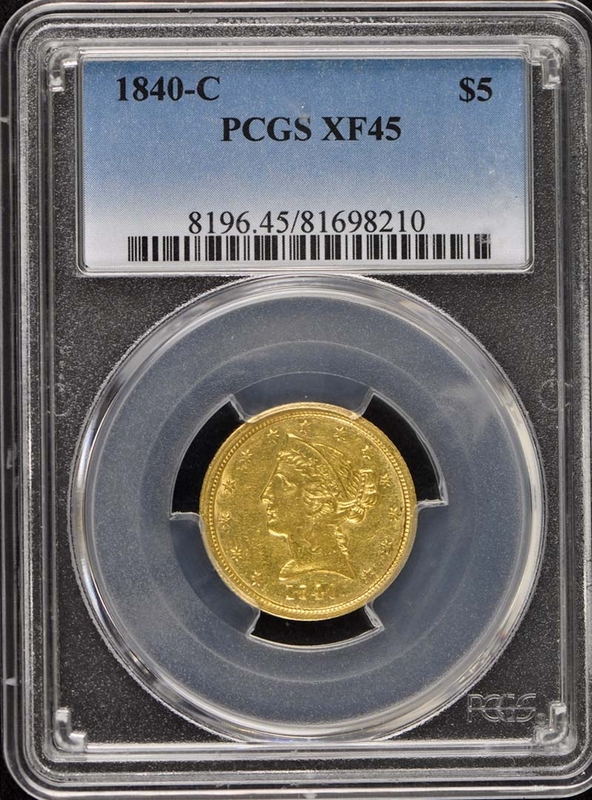 John Jay Pittmanís coin (now an NGC MS-64) is a full two points ahead of any other example known. 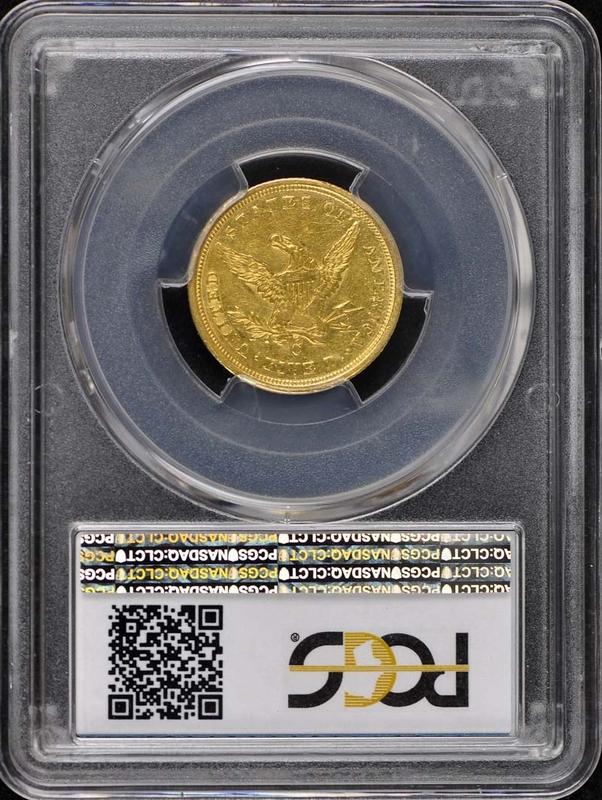 That coin is well struck for the issue and features interesting die breaks on the reverse. The Smithsonianís collection contains a Mint State coin; another one of the finest examples known of this date. 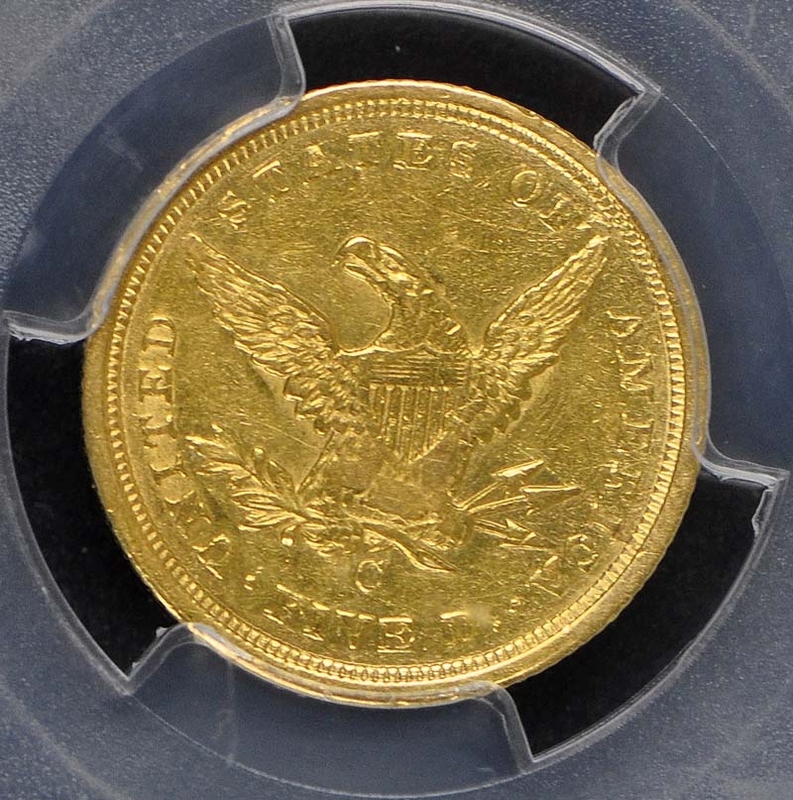 All 1840-C half eagles are of the broad-mill variety.